Picture this: a skillet with a sizzle of butter coating it; that’s your brain. Then, an unexpectedly large egg containing what used to be your independence and your short-term memory cracks open and falls into this skillet. Within seconds the egg’s contents are fried beyond recognition. This is your brain. This is your brain on motherhood. I may have mentioned the effects of what I like to call ‘Mommy Brain’ in previous posts, but honestly, I can’t remember. Ever since I have given birth the first time well over five years ago, my ability to remember details and locate keys has decreased substantially. I know I appear completely incompetent when my babysitter comes to the house. I can’t find my keys, my phone or my sanity. It is an unfortunate running joke between us. I’m not sure if she realizes it is an extreme case of “Mommy Brain” or if she just thinks I’m crazy. Of course “Mommy Brain’ starts with what everyone calls ‘Baby Brain’. Anyone who has cared for a newborn, even if only for a few short hours, can relate to this phenomenon. You can’t remember anything. You are so tired and overwhelmed that you count yourself lucky if you can remember the baby’s name. This was very difficult for me being the consummate ‘Type A’ and a perfectionistic scheduler. Eventually, I adjusted to my loss of organization and assumed it would return as my children aged. It has to some extent but it has never been the same. I wonder, is it lost for good? Thus, the invention of the term ‘Mommy Brain’. Here’s an excellent example of “Mommy Brain’. 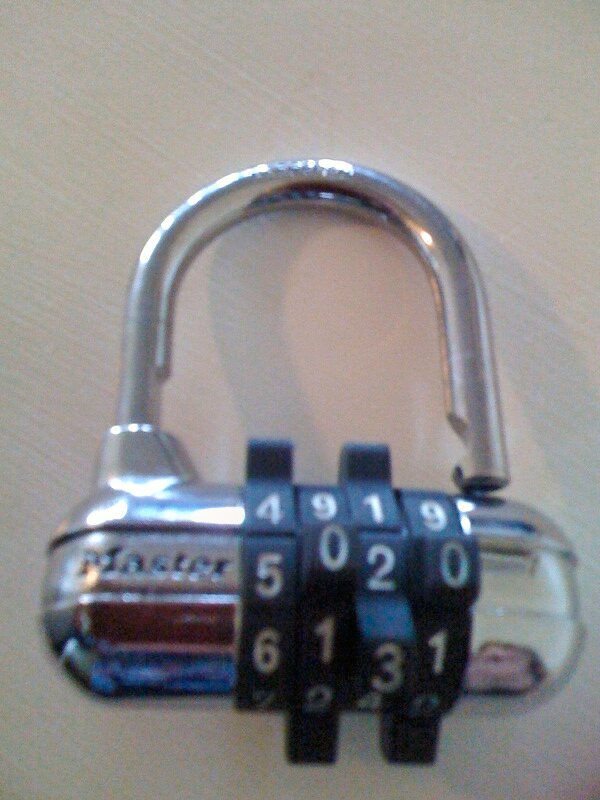 I cannot count the number of times I leave my lock attached to a locker at the gym. I’ll walk into the locker room, search frantically through my bag for it and find that it is hanging on the locker that I used over a week ago. Fortunately, the members of my gym are honest and it’s always exactly where I left it. I appreciate their honesty because it is the type of lock that you line up the numbers (the dial kind cause me too much anxiety due to past traumas they caused during high school) and my combination is always clearly displayed as the open lock swings loosely from last week’s locker. Let me know about your own experiences with ‘Mommy Brain’. Does it ever go away? Does it only relate to motherhood or is it just an unfortunate part of the aging process? I would love to hear your stories. This is the problem, I did tell him. He just doesn’t remember. I have no proof because I don’t tape record our conversations (which I am seriously considering). He thinks it’s all my fault. I’d try to say otherwise but I doubt he’d listen anyway. And the cherry on my sundae is that HE wants me to apologize to HIM. Good luck with that, Mad Dog. Good luck.